You know now Apple already released iOS 8.2 download for users. Then in nearly day some web sites are started to provide news that iOS 8.2 jailbreak released by TaiG. The news could be stimulated all cydia lovers. They try to jailbreak iOS 8.2 and install cydia using TaiG. But now TaiG team gave one answer all cydia lovers questions. TaiG has bustled to launch announcement for their all users. They outright said that they wanted to release it as soon as possible, but at present in the internet spreading news about TaiG jailbreak team has already released the iOS 8.2, we dismiss those rumors outright. “On 27th March, TaiG Jailbreak Team held the 2015 Mobile Security Summit (MSS) in China Beijing. 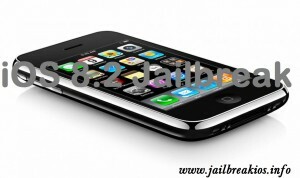 The development and release of a jailbreak tool was restricted to several factors, however what TaiG Jailbreak Team wanted is to release the jailbreak of iOS 8.2 as soon as possible. But at present, rumors about TaiG Jailbreak Team has already released the iOS 8.2 Jailbreak Tool were spreading in the internet. Any information outside of TaiG Jailbreak Team official news channel should not be trusted. At last, thanks for focus and supports from media and users. To you all, we will do our best to go forward! However, all users now know that the team of TaiG has earlier started to experiments for iOS 8.2 jailbreak and in nearly day they stated a news that the untethered jailbreak already completed for support iOS 8.2. But had not provided release details. TaiG has previously rolled out their untethered jailbreak for iOS 8.1.1, iOS 8.1.2, iOS 8.2 beta 1 and 2 with support for windows. Apple facilitated to download iOS 8.2 from Apple Developer Center to already registered developers. If did not registered in Apple Dev Center yet, start to register and then download iOS 8.2 on your idevices. Downgrade possibility is available. Users think that better to upgrade idevice into iOS 8.2, can upgrade their device or if you want to downgrade your upgraded device, it also can do. One thinks I like to say, if you already install cydia on your device, don’t haste to upgrade phone into iOS 8.2, because iOS 8.2 jailbreak possibility does not confirm yet. But don’t vacate your hope, in nearly day iOS 8.2 jailbreak will published successfully.